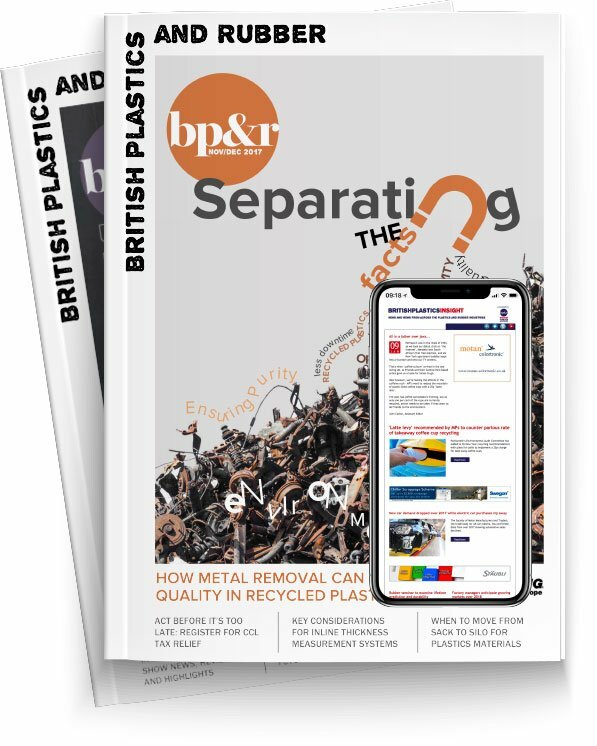 In his exclusive column this month, Philip Law, Director-General of the BPF, reflects on the recently published Government waste management consultations and outlines the suggestions the Association will be making in its responses. The long-awaited Government consultations on different aspects of waste management – and which are largely focused on plastics – have now been published. They cover the mooted plastics tax, possible deposit return systems for containers, changes to the producer responsibility system and consistent household recycling. They amount to about 400 pages of text which will have to be mastered, carefully considered and responded to. There was a serious attempt by the food and agricultural interests to have the publication delayed until after Brexit on the grounds that business is preoccupied by preparing for the possibility of a no deal departure from the EU. However, this Government, not renowned for listening sympathetically, ignored this, but did allow twelve weeks for responses to be formulated. I’m a great believer in having a positive cast of mind and in searching for the opportunities while others are wring their hands. The BPF has been calling on Government to improve the UK’s recycling system for many years. There have been countless meetings with Defra civil servants, appearances before Select Committees in both Houses of Parliament and visits to Ministers. Broadly these consultations represent a positive step in putting the key issues on the table. We are certainly a strong supporter of the Government’s aim to leave the environment in a better state for future generations. Our responses will reflect several key points we have been hammering away at for years. We really want to see greater standardisation in collections of used plastics across the myriad of Local Authorities to ensure that more plastics of a higher quality are collected for recycling. It’s also got to be made easier for consumers to recycle and a key route through to this is ensuring that packaging used is designed to minimise waste and encourage recycling in the first place. BPF’s recent publication of ‘Recyclability by Design ‘with RECOUP reinforces this. We also want to see Local Authorities working more in partnership with each other to harmonise approaches, disseminate best practice and secure economies of scale. It is crucial that we build a domestic recycling infrastructure and culture in this country, which means that the export of used packaging materials should be controlled further. We will also be pressing the unique sustainability properties and benefits of plastic packaging, not just its recyclability but also its role in mitigating the effects of climate change and in minimising food waste. It’s well worth having a look at the eminently authoritative BP Energy Outlook for 2019. Published just a couple of weeks ago, it sent out the warning shot that by eliminating single use plastics, the increased use of alternatives will push up both energy demand and carbon emissions. This was something I pointed out to the Lord Chancellor and Secretary of State for Education, both of whose Departments have been rolling out policies limiting the use of single use plastics in their office buildings. Ironically, in the case of the Ministry for Justice, the policy went beyond proposed legislation and included a ban on the use of plastic water bottles and, indeed, in other respects too, it pre-judged the consultations. With the very high risks at stake in Brexit, we will also be communicating the need for government to ensure that the costs to consumers and companies are restricted as much as possible. All we seek is a level playing field, not much to ask of a democratically elected government, in an advanced economy, operating a widely admired legal system in a country renowned for its sense of justice. The plastics industry must not be disadvantaged at this critical time, either in relation to other materials or competing industries overseas. It is a valuable national asset which the government must treat with the greatest respect. Let us sincerely hope that this Sèvres vase has not been placed into the hands of a chimpanzee.